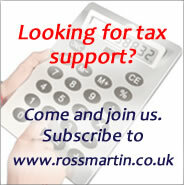 HMRC has kept several of its tax campaigns, or disclosure opportunities open. Any clients who might have undeclared liabilities in these areas should be encouraged to make disclosures to HMRC sooner rather than later to minimise penalties, interest and the pain of a formal investigation. HMRC will identify taxpayers from a specific group who it considers may have outstanding tax liabilities. HMRC offers taxpayers the opportunity to make a voluntary disclosure using a published notification form or by other agreed means. Ordinarily the taxpayer will first notify HMRC of their intention to make a disclosure, after which they will have further time to fully disclose what is owned and make a payment to HMRC. Making a voluntary disclosure under a scheme will enable taxpayers to benefit from reduced penalties and in some cases to avoid penalties altogether. Most disclosure opportunities have a fixed closing date, after which HMRC may investigate any identified taxpayers who did not come forward voluntarily. HMRC have a number of tools they can use to identify non-compliant taxpayers, including obtaining information from third parties, reviewing details of property transactions registered with the Land Registry, and the use of software to search the internet for inconsistencies involving people and their lifestyles. HMRC's Voluntary Tax Disclosure helpline. The Let Property Tax Campaign. The Second Incomes Campaign for employees who have undeclared second incomes. The National Minimum Wage Campaign: for employers or company directors who may not have complied with NMW requirements in the past. The New EBT settlement opportunity. The Contractural Disclosure facility, for admitting fraud, see HMRC: CDF. Worldwide Disclosure Facility (WDF): The WDF, announced at Budget 2015, allows those with outstanding tax to pay to put their affairs in order and will offer no special terms. Ties in with the Requirement to correct provisions (see Tax avoidance sanctions). Taxpayers who cannot use these open campaigns may make a voluntary disclosure: the disadvantage being that the favourable penalties offered under a published campaign will not apply.